Why dropshipping and why Shopify? Today, dropshipping is a flexible business management method that is supported by most electronic trading platforms. Shopify is a leading e-commerce platform that allows entrepreneurs to create their own online stores. It is easy to use, so you can create your own store, even if there is no proper experience. Shopify is ideal for entrepreneurs who want to run their own online store without any hassle and high financial costs. 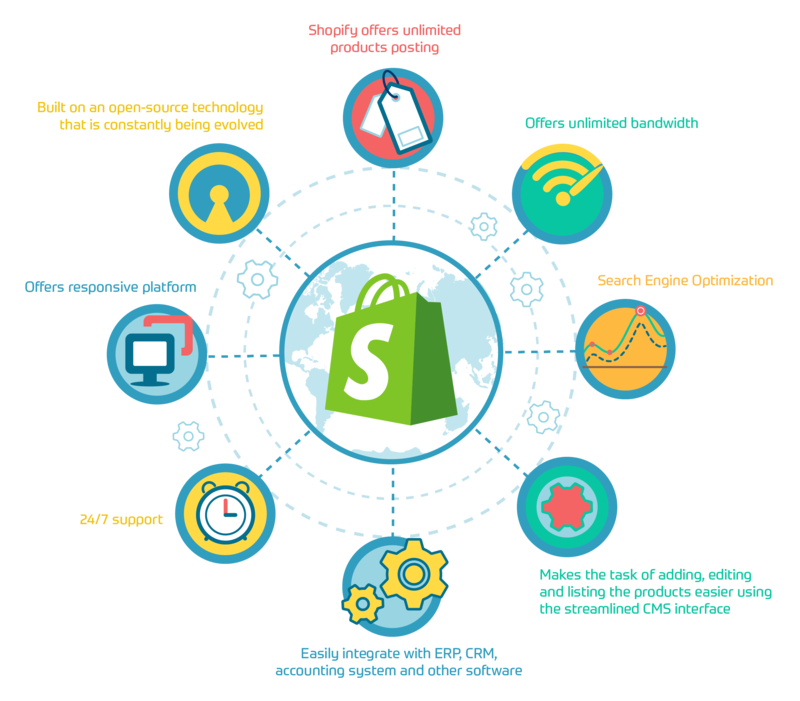 When choosing a Shopify platform, you will never have to worry about the excess of the goods being sold, as only the necessary quantity of it is ordered to meet the demand of customers. This is how the platform differs from traditional e-commerce when either the production of goods or the wholesale purchase of goods is required. With Shopify, you can control the stock of your product with just a couple of clicks. Shopify offers a comprehensive package of services, including hosting for the site. In many other cases, the user needs to buy hosting for the site and carry out settings, which requires at least minimal knowledge in this area. Shopify App Store is regularly updated with new applications. They help to solve such problems as improving the conversion of website visitors and customers, increasing the frequency and volume of purchases, and many others. Also, Shopify gives its users two weeks of trial testing to evaluate whether this platform is suitable for them. The platform offers both paid and free templates and user support 24/7. But Shopify is not the only platform that a drop shipper can choose; there are others, such as Magento, WooCommerce, OpenCart. If you are already on the way to choose a niche for drop shipping, then the creation of an online store is nearing. Having studied the features of the Shopify platform in comparison with alternatives, the choice will be made much easier. Today, our development team is actively working with different automation and integration with the Shopify platform. The project for the US-based Company Bids.com is one of the last and is more detailed about it. What was done for bids.com by our guys? Bids.com is an online shop of exclusive jewelry, watches, designer accessories and artwork from California created on the Shopify platform. As a drop shipper, Bids.com doesn’t have a warehouse and orders all goods directly from completely different producers. One of them did not have integration with the Shopify platform, which aggravated the work and made it very costly in money and time. So, what did our guys do to integrate the producer and seller platforms and synchronize all purchasing processes? And it gave a number of advantages for both parties, firstly Bids does not update all databases on demand and manually, thus investing their time more in the development of the resource, and not on the routine processes of daily information updates. Thanks to integration, all processes take place in a matter of minutes and this is an incredible time saving not only for two parties but also for the final customer placing an order. For Bids, the ability daily to track trends in stock flow was introduced. This is a very important functionality, especially regarding trend and top positions, and not only, to understand clearly, the presence and quantity sales and the remnants of this is also a huge piece of work, in this case, require only seconds of time. Well, our guys very simply solved this problem. We have developed an embedded application to the Shopify platform admin panel. It shows the history of such changes, and this in turn makes it possible to form clear analytical reports for Bids. The number of sales and stock gives the opportunity to form a trend, and eventually solve a number of issues regarding the optimization of the range. - the auction winner is determined, payment is made and the final transaction is concluded. So, in the case of such an introduction, the company can sell absolutely unique products by absolutely high prices, but the cost price will always be a secret for the end consumer. 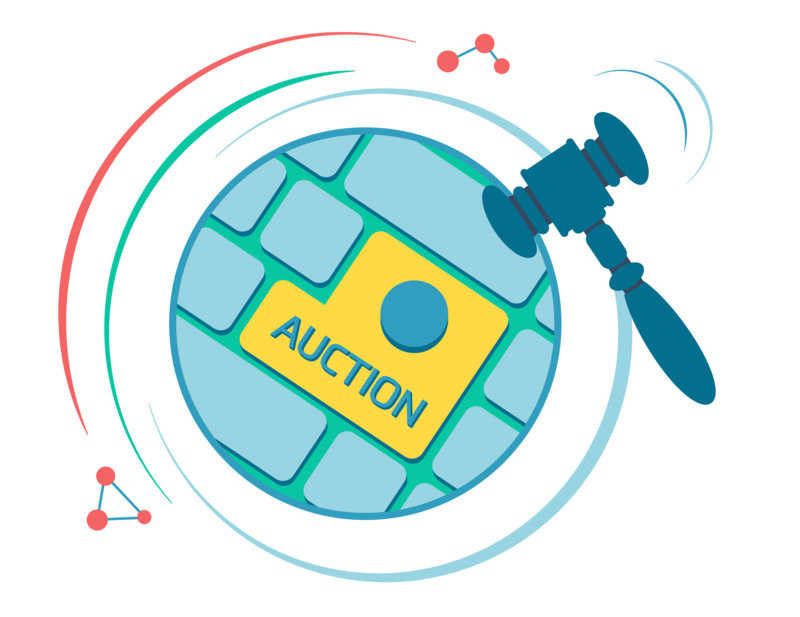 Bids in this process will only benefit and not always will be minimal profit. 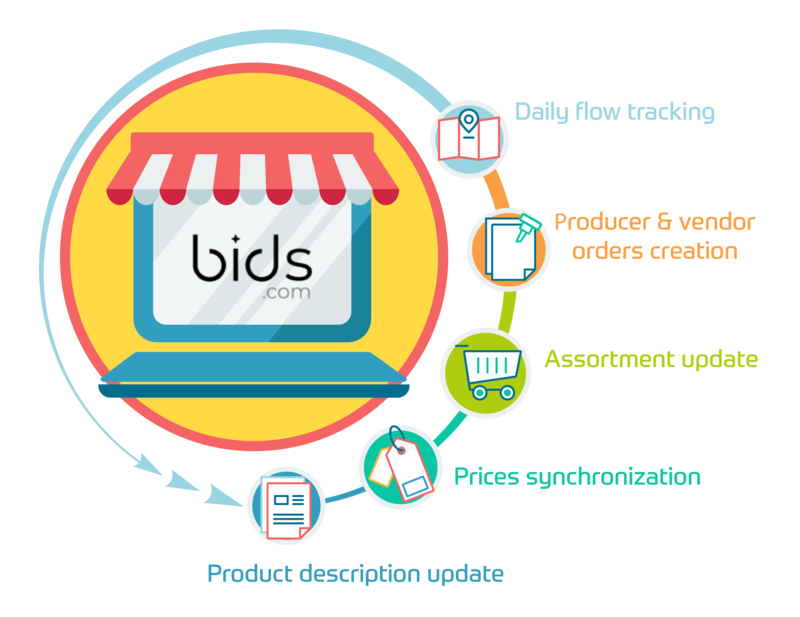 Of course, for optimization and promotion of Bids, they can do the infinite implementation, but even in this particular case, Bids has already greatly simplified its work and has the ability to plan further optimization decisions.